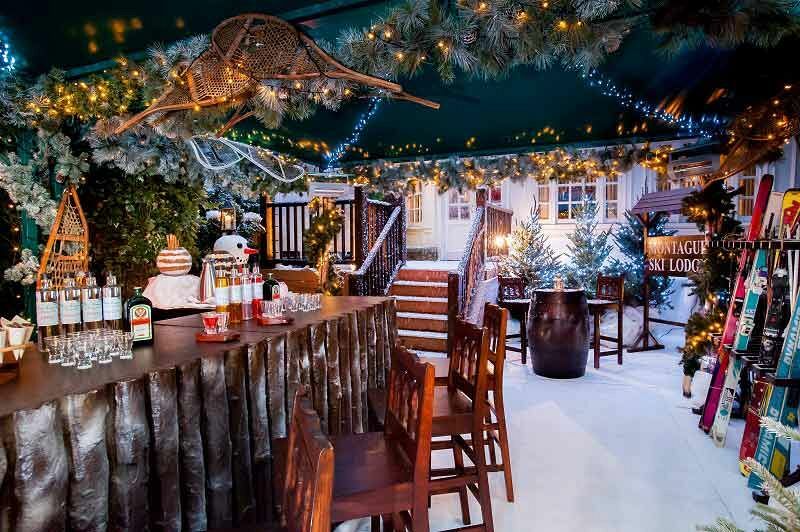 This Christmas, step on in from the cold outside and into the warming glow of this fantastic venue and their festive Ski Lodge – London’s original ski lodge and winter party venue. 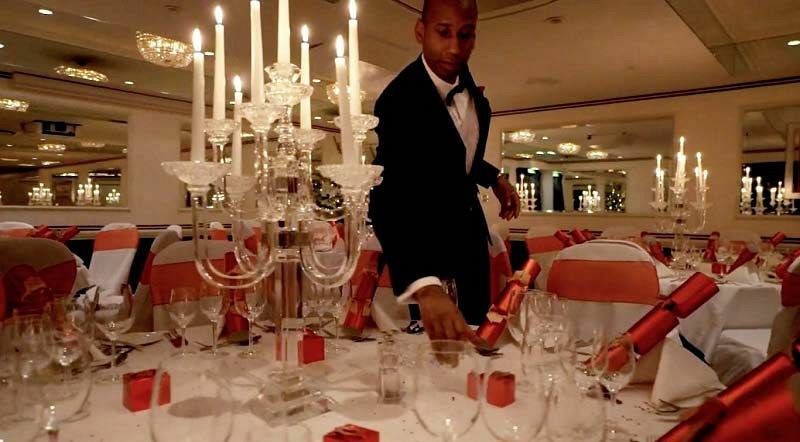 Whether you’re a group of 200 looking to indulge in a standing reception or a smaller group of 40 looking to enjoy a standing buffet evening at this incredible Ski Lodge, then you can count on the dedicated and expert events team to arrange an unforgettable evening. On the night of the event, guests will be welcomed by the friendly team and handed either a delicious glass of mulled wine or spiced cider to mark the start of the evening. 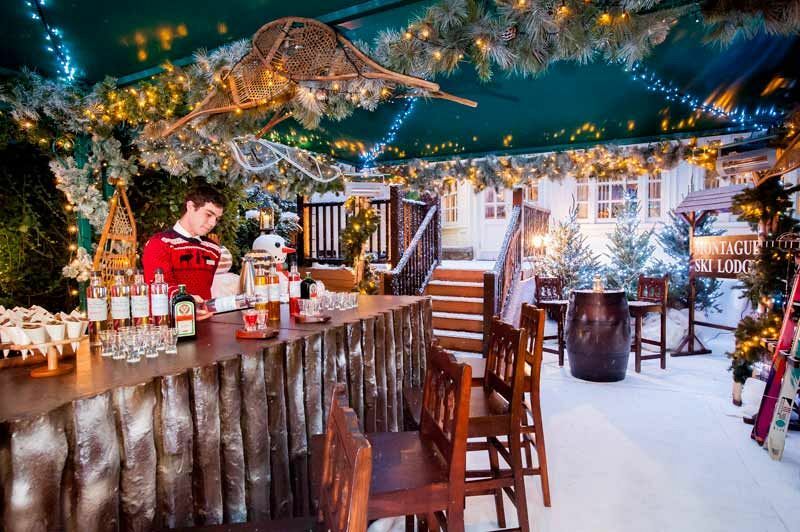 As you mingle with friends and colleagues and sip upon your drink, you'll admire the stunning sights of the festive ski lodge which will feature sparkling fairy lights and lanterns, pine trees, reindeer, snowmen, ski racks, piste maps and falling snow for that authentic Christmas atmosphere. Purchase a tipple from the brilliant centerpiece bar and choose from a fantastic array of drinks which includes a choice of 12 Schnapps and flavoured vodkas to warm the cockles. Make sure you’re hungry, because guests will be treated to a mouth-watering finger buffet selection which will have something to cater for everyone’s taste buds! All-inclusive drinks will also be included for three hours during the party night, where guests will be able to indulge in unlimited red and white wine, bottled beer and soft drinks. Why not enjoy some candied pecans, mulled wine, spiced cider or a mug of steaming hot chocolate for an extra cost to combat the cold and the lightly drifting snowflakes? You'll then make your way to the atmsopheric log cabin, where you'll get all snug and cosy on the big woolly rugs. Don’t forget to pay a visit to the dance floor and show off your finest dance moves to the DJ’s* brilliant selection of top party tracks – this is one Christmas celebration that you won’t want to miss out on! Dates are available throughout November, December and January. Please note that minimum spends apply on dates throughout December - send an enquiry through to the venue to find out more! *Complimentary DJ provided for bookings of £10,000 or more.